For our worried friends and relatives, we were much luckier than than many and didn’t see a single drop of rain. In fact, we woke up to bright and shiny skies that persisted through much of the day. 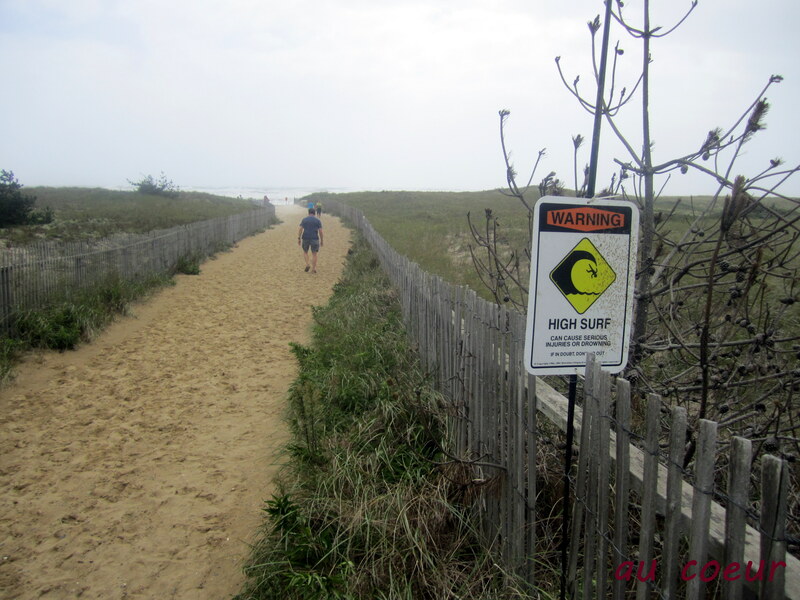 Most of the concern on Nantucket were high speed winds, astronomically high tides, and very dangerous surf. The ferries were cancelled starting late yesterday afternoon and as of yet will not resume tomorrow so we’re trapped and without food! At least for a few days. Haha. Luckily, we’re loaded up on vegetables from our CSA and could live for months on tomatoes alone. Yesterday was pick-your-own tomatoes for $1/pound at Bartlett’s and so Nora helped me load up a wagon and bucket full of tomatoes. Eighty-eight pounds of tomatoes, to be exact. Now, I’m elbow deep in red, yellow, green, and orange (literally!) canning them so we won’t have to buy tomatoes over the winter. It’s part of my commitment to eating local and is also a step toward keeping the grocery bill in check. Even canned tomatoes cost more than $1/lb and then you also have to worry about the BPA in the can lining (unless you shell out mega-bucks for Muir Glen’s organic/BPA-free). Home canned tomates are a huge saving, healthier, and much more delicious! 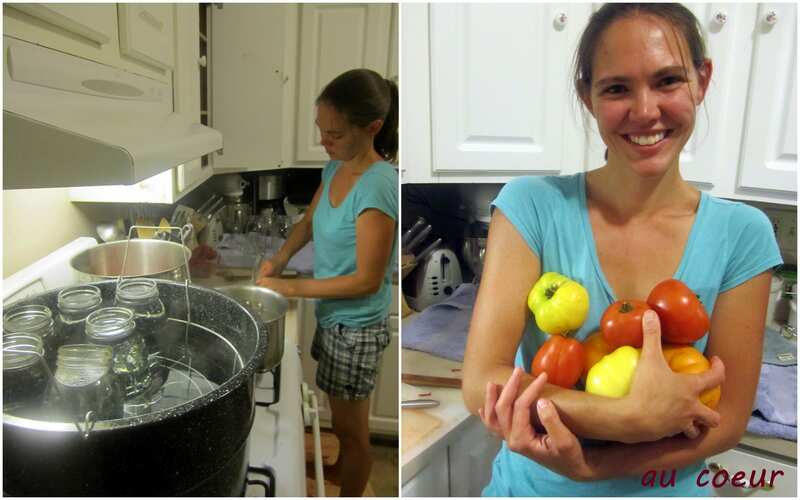 Last night, I canned red field and Roma tomatoes. Tonight I’m finishing up with beautiful yellow and orange heirlooms. If my math is right, hopefully we’ll have 30 quarts to see us through next spring. I’ll let you know later in the week how it turns out; now I need to get to work feeding my (future) family. Those look great! The rain and flooding did some serious damage to the farms our here – esp. those in New Paltz near the river. Will learn more about the status of Brook Farm when I’m there on Tues. BTW – love that high surf sign! Hilarious! I hope Brook Farm is okay. It’s be a shame if your CSA had to end in August! The tomatoes are beautiful. I was surprised they did it so early this year. Last year was toward the end of September and it was a lot of picking though to find tomatoes that weren’t rotting on the vines. I stumbled upon your blog through Motherlode and have been loving reading all your archives! Kudos to you. Your munchkin is adorable. Thanks for reading, Richa, and thank you for your sweet comment!